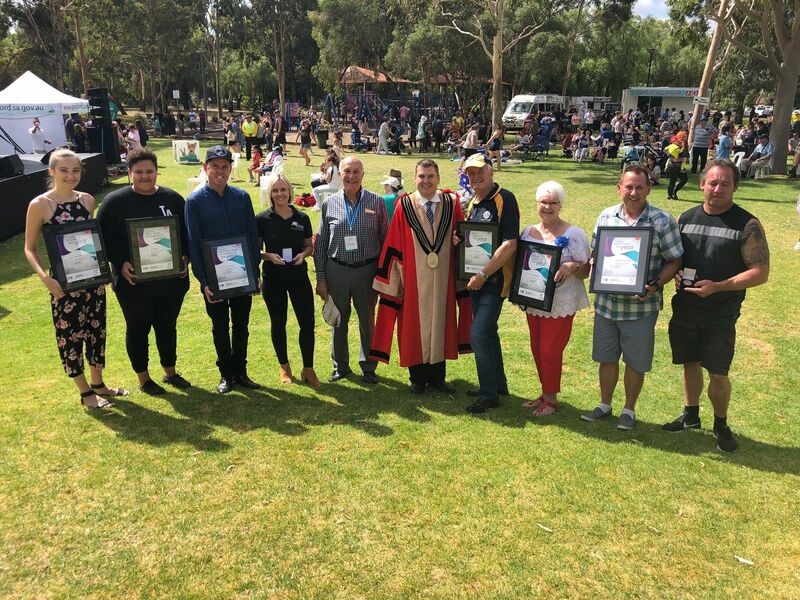 The Playford Citizen of the Year Award winners were announced at Australia Day celebrations in Fremont Park, Elizabeth. 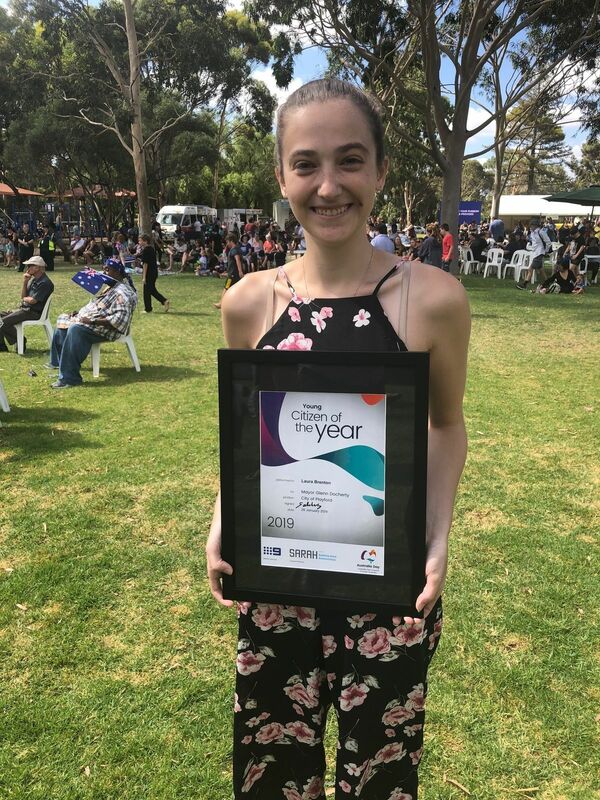 The Playford Citizen of the Year Award winners were announced at Australia Day celebrations in Fremont Park, Elizabeth on Saturday 26 January. Barbara “Anne” Thompson and Frank Gratton were the joint winners of the Citizen of the Year, while awards were also presented for Young Citizen of the Year, Young Citizen Commendation Award, Community Group or Initiative of the Year and Sports Club of the Year. Barbara “Anne” Thompson is an active member of the community who continues to live life to the fullest volunteering in various roles with the Council, at the Virginia Institute and the Northern Carers Network. Anne shows that age is no barrier to helping others fulfill their dreams, by driving participants, arranging activities and helping out in the kitchen for various programs within the community. 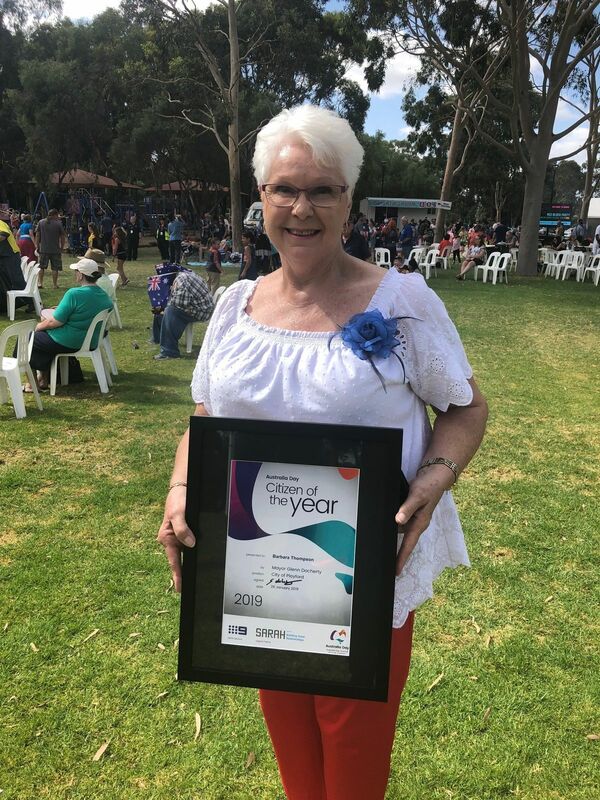 As an active member within Playford, her volunteer work doesn’t stop there as she assists with children programs at the Northern Carers Network and is also a member of the Community Connections Committee. Frank has been a dedicated member of the Lions Club of Elizabeth Playford for more than 20 years. 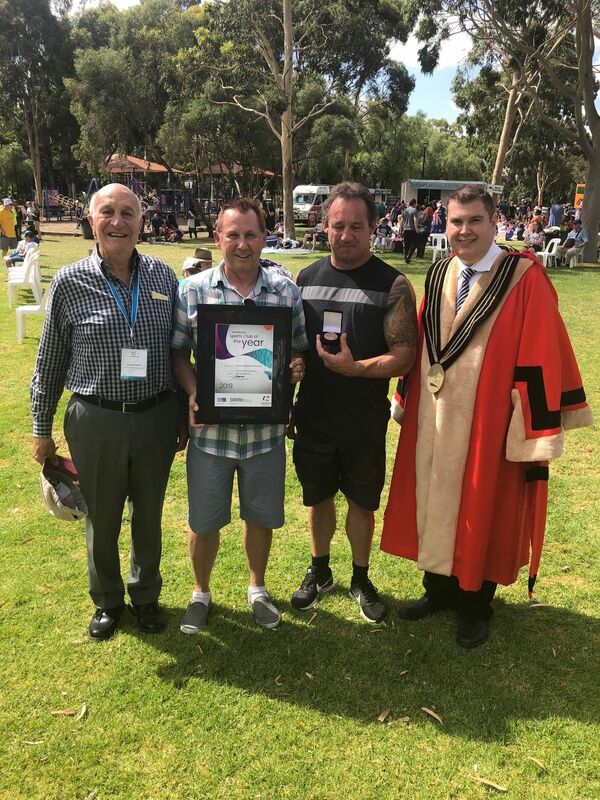 In this time he has not only assisted his club and the local community, but served as District Governor, supporting nearly 70 clubs in South Australia. 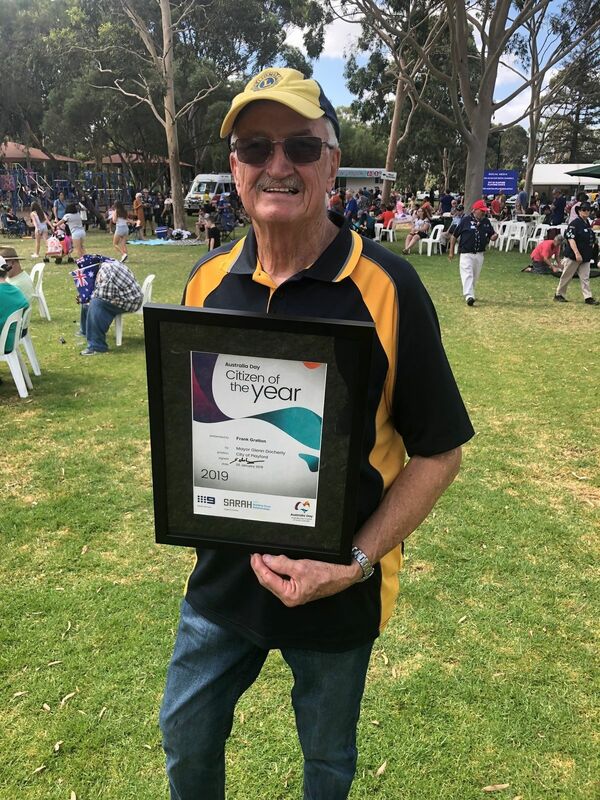 Frank is truly a jack-of-all-trades and has assisted the club and local community cooking the BBQ at events, maintaining the clubrooms, coordinating members for various activities, as well as taking on the role of assistant secretary. He is also currently the Australian Lions Hearing Dogs secretary and actively assists the deaf and hearing impaired of the Playford community by coordinating the training of dogs in which his club sponsors. Frank is a Lion that epitomises the motto of 'we serve' by actively supporting his community. 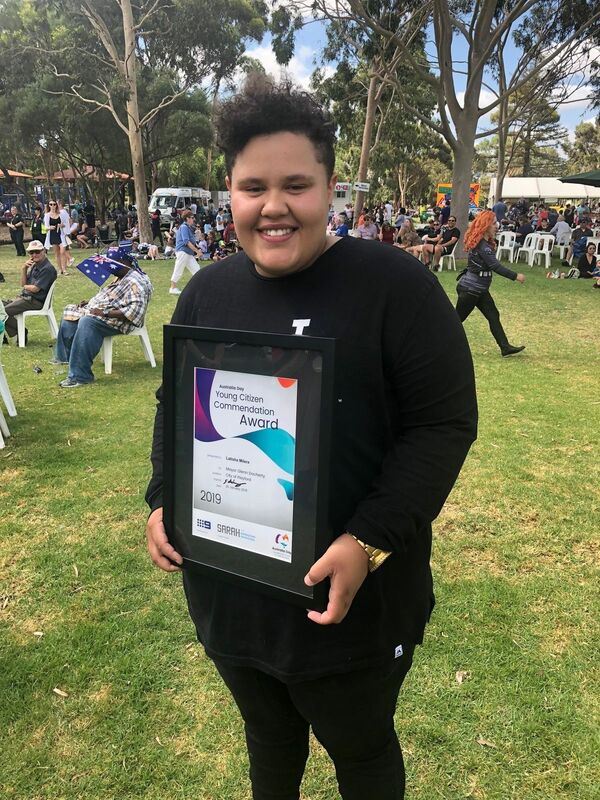 Laura Brenton is a dedicated youth leader in the Playford community committing six years to the local Youth Advisory Committee and more recently volunteering at HYPA Youth Leadership Team. One of the longest serving members of YAC, this dedicated young woman continues to share her experience and expertise to help others in the community. Her leadership is being recognised nationally, representing the group at an education forum. Laura has also taken on a leadership role within HYPA, helping to develop a community cook book to support young people to become more independent. Local hero, Latisha Milera receives a special commendation award for her actions that saved her mother’s life. Latisha was instrumental in ensuring her mother received the assistance she needed by performing CPR until the paramedics arrived following a medical episode. To Latisha’s family she is their hero and why they nominated her for the Young Citizen of The Year Award for her courage in a difficult situation. 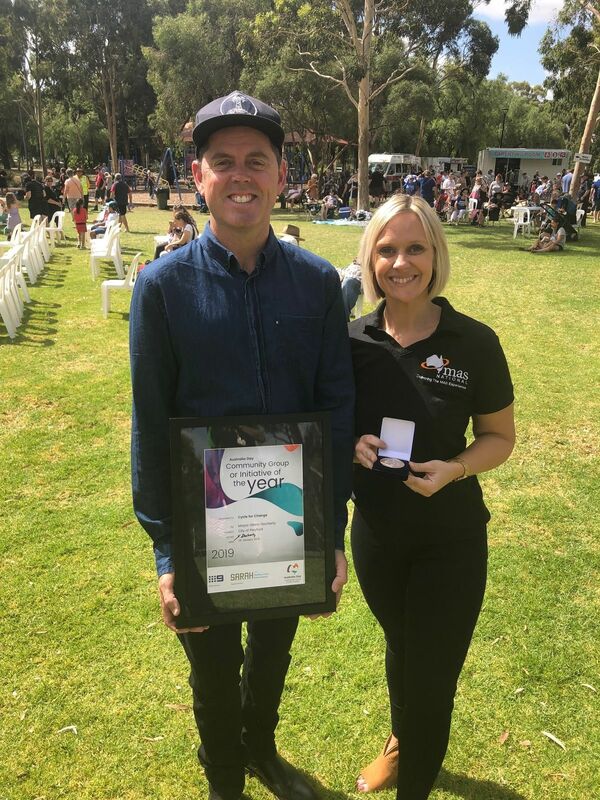 The Cycle for Change program, run by training organisation MAS National, is designed to engage, support and empower young people in the Playford area. The program has doubled in engagement since its inception in 2017, collaborating with Lighthouse Youth Projects Inc, sharing a passion for supporting young people to develop hard and soft skills to help them find sustainable and meaningful employment. The program provides practical BMX workshops at Northern Sound System and Playford Alive skate parks each school term. They work with the youth delivering not only the practical sessions, but also theory workshops, which accumulates credits towards a certificate course. Munno Para Little Athletic Club (MPLAC) is the oldest club in South Australia, supporting the youth of the northern suburbs since 1971. The club provides a safe environment for all children to develop skills, which enable them to grow, develop confidence, and assist them to participate in any other sport they play. The club works tirelessly to be not just a sporting club, but also a community club, ensuring MPLAC is inclusive of all families and offers the same opportunities to everyone to participate in athletics. In the past 12 months, the club has grown considerably increasing from a membership of 84, to now 122. The club continues its work with eight local schools and builds on its representation through SAPSASA.